Several provinces and cities have reported that they are confused on how to organize the collection of road maintenance fee from motorbikes, even though the Ministry of Transport has said that the fee will officially be collected across the country from January 1, 2013. Local authorities have reported no problems in fee collection from automobiles because owners have to submit the fee at time of periodic registration. However, motorcyclists are required to pay the fee at their commune or ward people’s committee centers. Several localities said that they are still waiting for a decision from their provincial or city people’s council on the fee amount. Meantime, they remain confused as to how to organize collection of the fee at wards and communes. Hanoi, and Bac Ninh, Bac Giang, Thai Nguyen, Cao Bang, Bac Kan and Yen Bai Provinces and many others have yet to complete a specific plan to collect road maintenance fee from motorbikes. 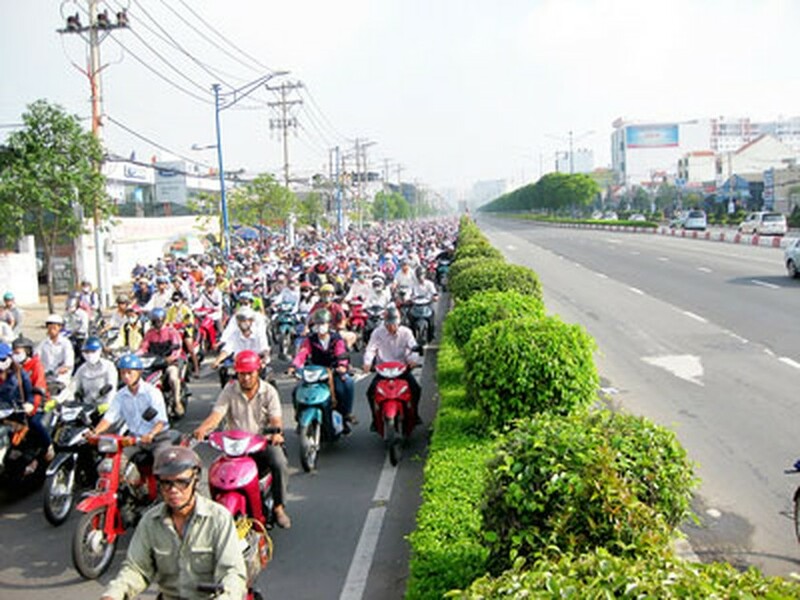 Nguyen Hong Truong, deputy Minister of Transport, said that the fee collection of motorbikes might run behind schedule but will be collected in full afterwards. Those not paying road maintenance fees will be punished in accordance with Decree 71. The country now has about 35 million motorbikes. Also from January 1, the Transport Ministry has officially removed 17 State road toll stations across the country, with the road maintenance fee taking effect.